Delivery from £12.00 to United Kingdom in 1 - 2 working days. FREE delivery on orders above £149.00. 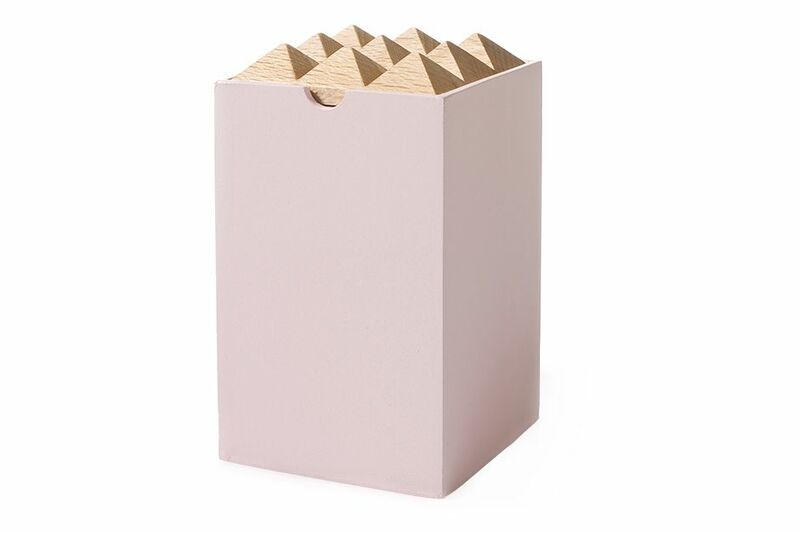 Pyramid Box is a sculptural treasure box that comes in a variety of colours and sizes. The lid is made of solid birch wood and is easily known by its characteristical carved out pyramids. The box is painted by hand. Henrik Ilfeldt, founder of design brand Korridor, is a Danish architect influenced by the simplicity and functionality of Scandinavian design, with added personality. "Functionality appeals to your mind, simplicity to your aesthetic sense, and colour speaks to the heart. Often you cannot explain why you love a certain color combination - it's just a feeling. To me it is important to be able to bring positive feelings into design and into people's homes." MOXON exists to help you discover the latest in design. As well as designing their own original collection, MOXON search the world to find the best independent brands and designers and bring them all together, giving you a unique collection of contemporary furniture, designer lighting and interior accessories from around the globe.